Buying a new home can be intimidating, and you may have a lot of questions about the process. We have put together this Home Buyer Checklist to help with your next steps once you have found your new home. 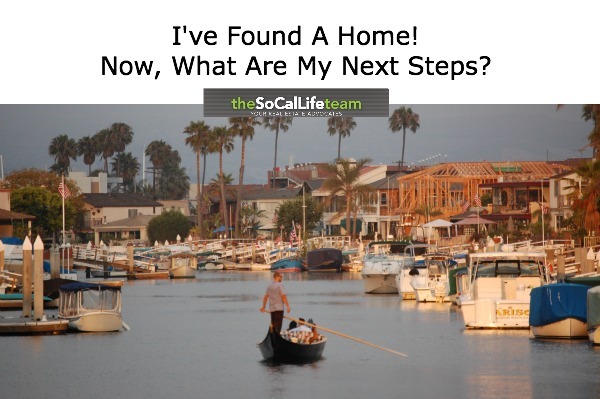 The SoCalLife Team will be posting a series of home buyer checklists to help you with the entire home purchase process. These checklists will cover topics ranging from identifying potential properties, making offers, learning what to expect during the escrow process, and preparing to take possession of your new home. Whether you are a first time home buyer or a seasoned investor you may benefit from these checklists, starting with the First Steps To Buying A House checklist that we recently posted. You’ve Found Your New Home! Now, What Are Your Next Steps? 2. Write a personal letter to the Seller to express to them why you love their home! Of course if we can be of any assistance, please contact Danny or Jade!